Sloto’Cash Casino has been a part of the online casino industry since 2007. The company runs on Real Time Gaming software and offers a complete selection of casino games; including five different categories such as progressive games, video poker, classic tables games and slot machines. The casino is owned by Deckmedia N.V. and licensed by the Curacao Gaming Authority. Sloto’Cash Casino continues to grow in popularity due to its complete selection of games, promotions, banking options and the assistance of a highly trained customer support team. Sloto’Cash makes use of Real Time Gaming software, which is one of the top online casino software providers in the industry. Players have the option to download the full suite of casino games or play the no-download flash version directly from the casino's website. Sloto’Cash offers a wide variety of classic casino games including some of the most popular options such as Craps, Baccarat, Roulette, Blackjack, Video Poker and several variants of poker games like Caribbean Stud and Three Card Poker. Moreover, the casino has a strong selection of online slots games. Sloto’Cash casino offers more than 100 different slot games with diverse themes and betting options that appeal to all types of players. The slot games selection include a wide variety of classic 3-reel slots, 5-reel games, bonus round slots and progressive slot games. The casino offers several versions of the classic Blackjack game, including the standard version, European Blackjack, Match Play 21, Super 21 and 21 Face Up. Players looking to spend some time betting on the all-time favorite classic Roulette will find available the classic European Roulette game as well as American Roulette, with different betting sizes and winning opportunities. Video poker games are also available at Sloto'Cash Casino with several different variants like Double Double Bonus Poker, Jacks or Better, Bonus Deuces Wild, Joker Poker, Aces & Eights, Sevens Wild, Loose Deuces and more. Offers and special promotions are plentiful at Sloto’Cash Casino. Real money players who choose slot machine games will enjoy a $7,777 bonus that’s spread over the first 5 deposits at percentages varying from 200% to 177%. The casino also has a rewarding VIP program with custom-made offers and other special benefits. Sloto’Cash is currently offering casinosonline players a $31 Free bonus that can be redeemed by using bonus code: 31FREE. In addition, players can also redeem a 200% Match Bonus with bonus code: SLOTO1MATCH. The most recommended bonus is their 215 Free Spins offer for the slot game Regal Riches when you deposit $100 or more. The Free Spins' total value equals $107.50, which is over a 100% match in free spins! Sloto’Cash Casino offers several deposit methods including Credit and Debit Cards such as MasterCard, American Express and Visa. Local or International credit and debit cards like Maestro are also available for players within the United Kingdom, Spain and Austria. Also, there are alternative deposit methods available such as Skrill, Neteller, Sofort, eps, Ukash and more. Players can also reach customer support via phone or live chat to complete their transactions. Withdrawals are available via Bank Wire, Overnight Express, Transfer Money, Direct Money, Neteller, Skrill, ecoPayz, CardPay and Ukash. Cashout limits are not the most accommodating with a maximum of $5,000 via CardPay. Also, players should note that withdrawals requests of over $5000 are paid out in several installments. Sloto’Cash Casino’s customer support team is available around the clock to assist players via Live Chat, telephone, e-mail and Skype. The casino deploys state-of-the-art 128-bit SSL data encryption technology to make sure players’ personal and financial information is kept secure at all times. Sloto’Cash Casino is a strong option for players looking for a site that offers a diverse selection of casino games and promotions. Even though their withdrawal limits can be restrictive for some, players still have several options to choose from. The RTG casino platform is smooth and players will not be disappointed when they need assistance with a friendly customer support team. How long has Sloto’Cash casino been around? Sloto’Cash Casino opened its doors in 2007 and over the years has added hundreds of new games and features. Players from the US and most other countries are accepted to play in Sloto’Cash Casino. Yes, players can access a wide variety of games via the no-download, instant-play version. 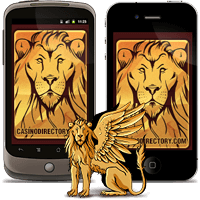 Furthermore, Sloto’Cash Casino also offers a strong selection of games that can be accessed via mobile devices. How can I reach their customer support team? Customer support is available 24/7 via Live Chat, phone, email or Skype.